On October 8, 2015, Victoria Jackson was getting ready for her 45-minute stand up routine at Zanie’s Comedy Club in Nashville. But instead of enjoying the pre-show excitement, she was laying on the couch in the green room coughing nonstop, drinking tea with lemon and honey, and sucking on cough drops. Vicki had many scary moments growing up: doing a back handspring on the four-inch balance beam; performing stand up comedy; auditioning for Saturday Night Live; and getting held up by a robber with a gun in a parking lot in downtown Los Angeles. 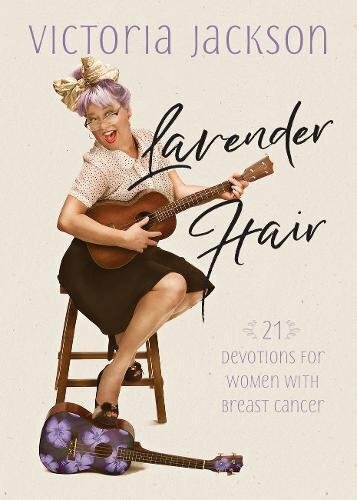 If you are one of the one-in-eight women who have been diagnosed with breast cancer, or if you know someone who has, this 21-day devotional is full of humor, insight, and comfort as you walk with God through this dark valley.